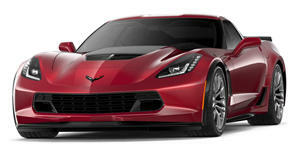 One of the best kept secrets in and around Detroit these days is the likely fact that the C8 Corvette will feature a mid-engine design, just as Corvette "Father" Zora Arkus-Duntov had long championed. Sure, some Corvette purists won’t approve of the switch from front- to mid-engine, but it’s time, and according to CarAdvice, there might be yet another big change about to happen. While touring GM’s battery laboratory in Warren, Michigan, only a few days ago, they spotted something interesting: "a shell of a Corvette within the battery lab." Right, so what’s the big deal about that? This just so happens to be the same lab that GM uses to test battery cells and evaluate their performance in prototypes. Previous rumors also suggested the C8 will offer up 5kWh of battery power and a 12-mile or so driving range. 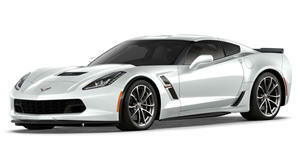 Translation: it appears GM is testing what could be an electrically-assisted Corvette. This would make sense considering the number of other high-performance cars today, as well as upcoming ones, that feature similar tech. GM wants to push the Corvette into a higher realm of performance, making a truly global supercar of sorts, so why not utilize proven performance technology? Now, would a mid-engined, electrically-assisted Corvette still be a Corvette? It’s a fair question, but we believe Arkus-Duntov would respond with a wholehearted "Yes!" We're still about a year away from the C8 Corvette's official debut, so expect the rest of 2017 to be filled with a ton of speculation and rumors.